Hi! Here’s your chance to get to know a bit about the magical wonders of the sacred sewing space and those who dwell within! I’m Tara. I’m a speech-language pathologist am married to Kirkules and have three children, who we shall refer to as Kiwi, LittleMac 2 and LittleMac3. I also have a derpy goldendoodle named Stash. He is cute, fuzzy and gassy. But enough about those reasons for living–you want to know about my other reason for living: quilting! I started sewing when I was a kid, about 12 years old. I hand-quilted my first cheater panel that year when my teacher had a baby. Then I met Kirkules’ mother at sixteen, and saw her hexy quilts, and learned that people actually piece quilts. I needed to try it myself! With my first job as a singer on a riverboat, I saved enough money to buy a Kenmore sewing machine and the materials to make the double quilt top I had designed. I never did finish it though. I only got about 1/4 into the hand-quilting and lost my groove. I recently passed the top on to a local church group. It only took me 24 years to accept I will never finish it! 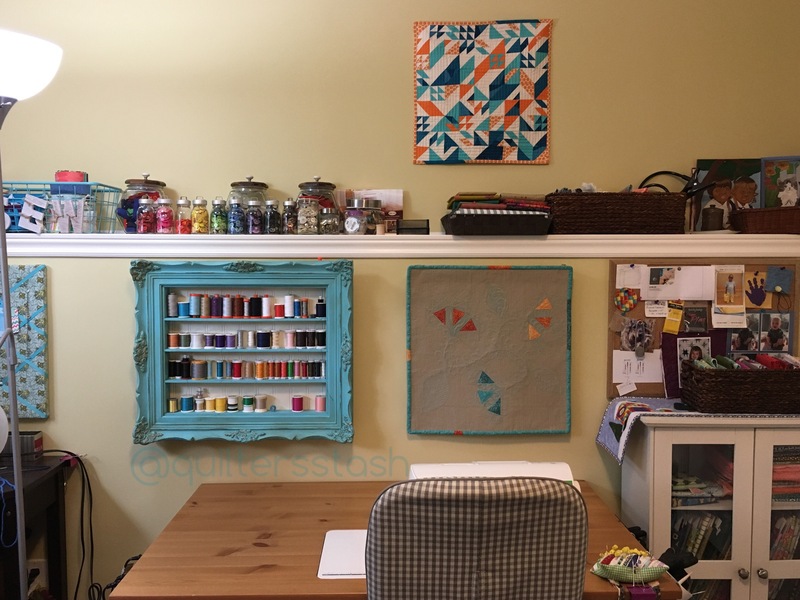 When I saw FMQ, I loved the look of it and wanted to do it, so in 2000, I got about 1/2 way through improperly quilting a loopy meander on a baby quilt, but wound up shelving it for 8 years, feeling quite discouraged. Without gloves and a good extension table I had no hope, but thought it was because of my gimpy, achy hands. A friend re-sparked my interest when saw it and offered to help me to painstakingly pick out the poorly-stitched mess. I later hand-quilted it, and gifted it to her baby girl. I was glad for a finish and gifting, but was disappointed with the failed FMQ. Closeup of the hand quilting that replaced my vision of FMQ loops. Fast forward to 2014 when I wandered into the QuiltCanada Show in town. I just followed the “Quilt Show” Signs and was awestruck, flabbergasted and inspired beyond belief. Within days, I began pulling out UFO’S, improv-piecing and designing new quilts! Shortly thereafter, I discovered Leah Day on YouTube and discovered that I just needed gloves and a flat surface to get rolling! But I was having trouble setting myself up in the kitchen and clearing off the space so our family could eat meals and stuff like that, which, is kinda vital. “Every woman needs a room of her own”. Thank God Kirkules took Women’s Studies classes, because he took Virginia Woolf’s advice and recreated our former spare bedroom into the Sacred Sewing Space. He has given up much of my attention due to my sewing obsession, but he peeks in on me occasionally and will listen to me hem and haw over fabric choices or quilting options so very lovingly. I think I will keep him. Now that I have a fantastic space to work in, but my boys need separate bedrooms, my Heroic Kirkules is up to his shenanigans again, this time building an extension, which will include an expanded bigger, better, brighter, and possibly sacreder sewing space! Yes, I know how to pick ’em. Handy, Handsome and mine all mine! I joined our local MQG in 2015, and am currently the VP of our Guild, I love the sisterhood, sharing and learning that happens there! It is a monthly outing I can’t do without. I have gained so much inspiration and technical skills by seeing my talented peers beat challenging quilts into submission, tackle pattern design, enter quilt shows and wow me with their beautiful creations. If you are not a guild member, I highly recommend it! If you can find a small guild, even better as you get more turns and opportunities to shine and take part! Finding your tribe is a godsend for us all. I joined Instagram to participate in the MQG Mini swap this year, and then sidestepped into the Finish-A-Long. Then, I realized, I wanted to incorporate blogging and photography into my passion for quilts. I mainly post about finishes but have been occasionally putting out other posts as well. Here is a picture of the lengths I will go through to try and get a decent shot of a quilt. One evening, Kiwi, LittleMac 2 and I climbed up the fence at the baseball diamond with a basket of clothespins in an attempt to get a good shot of ”Legend”. LittleMac2 captured this funny moment. Before delving into quilting, I was an ecclectic maker. I used to scrapbook, crochet, knit, paint, refinish furniture, rug-hook, bead and try everything creative at least once. But now I am happy to stick to quilting, which meets all of my creative and many of my social needs. Plus, if I stay focused, there’s more budget for fabric! ”Turquoise Tootsies” is a bedrunner designed by my daughter with a little help from me. I bought her a pack of 5” batik precuts for Christmas, thinking she would make a little pillow or something. To my surprise, she started laying out a bedrunner! This project was backed with a pieced backing that Kiwi also laid out. I helped her with the order of piecing, but at 10-years old, she did all the stitching on her hand-me-down machine (yes, my old Kenmore). My biggest contribution to this masterpiece, was the FMQ. It was one of my first bigger FMQ projects. I used some Angela Walters magic (Dot to Dot Quilting in particular). I was so pleased with how it turned out! I loved helping Kiwi learn something new, and spending the time with her. I know she will treasure it always. The biggest creative blast I ever had making a quilt began in early July, 2016. My Auntie Rolande had just passed away, and I was hemming her plaid pajama bottoms to fit my short legs. 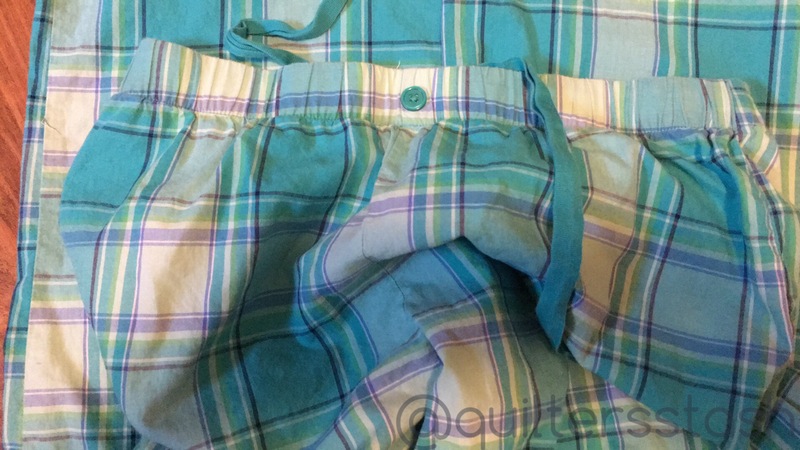 The little plaid cutoffs were sitting on my sewing table demanding me not to relegate them to the scrap bin. In something of a creative explosion, I delved into my scrap bins looking for offcuts to work in this analogous color scheme. I was energized and excited as I pulled the bits and assembled them together. That night, an improv challenge by QDAD was posted on Facebook, so I decided to enter with this project. I set limits: improv crosses, squares, and strip-pieced chevrons with a few circles and 1/4 circles, using only my stash. The frenzy of improvising is such a rush to me. To get my heart pumping, I sit behind a machine in my basement! I worked fast, partly because of the excitement of the process but, also, to try and beat the deadline for the contest. This was my first completed improvisational quilt, and each slash, each post to the design wall was exhilarating. I had the top pieced in less than two weeks, took another week to quilt it and finished the binding during the road trip to New Brunswick, where I would pass it on to my Auntie Marlene, as a tribute to her sister’s memory. As for the contest: lucky me, I was, the winner! I got to take home two fantastic improv books: The Improv Handbook for Modern Quilters by Sherri-Lynn Wood and Improvising Tradition by Alexandra Ledgerwood and have since started and completed several projects from these. 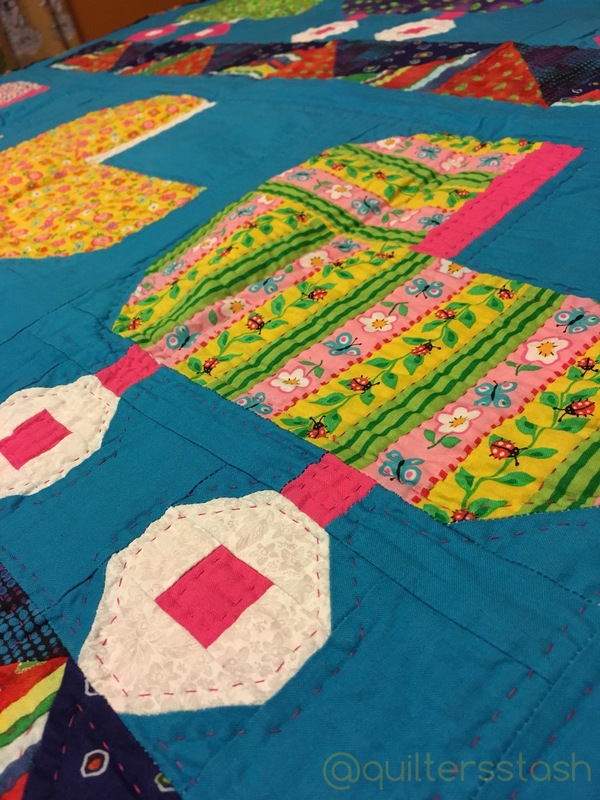 In 2015, Quiltcon, included an EZ Triangle Quilt Challenge. We had to create something using a tiny triangular template sent in the mail. At the time, I was really into FMQ and I was hankering to make a design with huge negative space, and so, Fantasy Flowers came to be. I had started with the teal floral quilting but decided it was hard to see, so I tried to make it pop by micro-matchstick quilting the background in matching thread. This is the backing, which more richly incorporates the triangle shape in the design. I quilted tirelessly on this one and I buried over 60 stop/start threads, resulting in an embarrasing strain injury to my thumb. I was very happy with how it turned out, considering I used very few guiding lines to mark my design, and I just went with the flow until I was satisfied with the quilting. This mini is displayed smack-dab in front of Liz, my BabyLock, to remind me of what I can do when I put my mind to it. As my my first major effort to do feathers, and my first attempt to enter something into Quiltcon, it really is a landmark quilt to me. At a distance, it is nothing breathtaking, but I am pleased with what pops out when you look a little closer! Glue basting is the bomb! If you have not tried glue basting, please do! You don’t need to buy fancy glue–Elmer’s washable glue and Glue sticks from the dollar store will do! If this is new to you, learn straight from the pros! Here are some amazing resources I have compiled just for you! Jen Carlton-Bailly whips up 1/4 circles (drunkard’s path) blocks like a champion. She does a little MQG Fresh Quilting Episode that shows how. 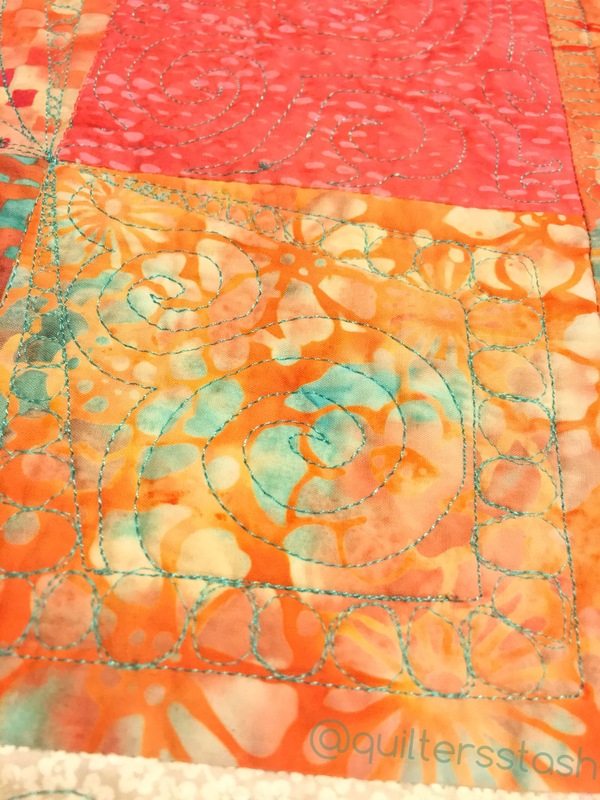 Cheryl Arkison teaches a fantastic craftsy course, “Learn How to Make Inset and Applique Circles”. She demonstrates how to use glue-basting that results in beautiful curves and applique-free circles. 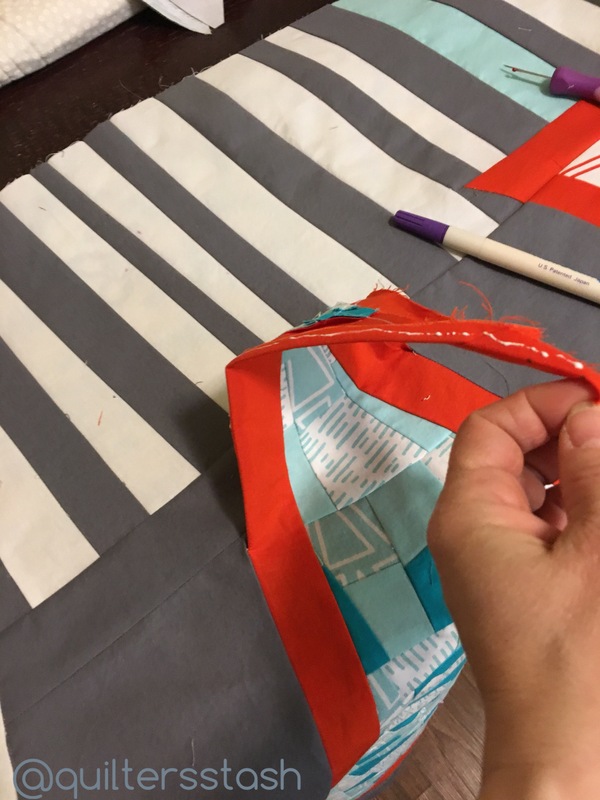 Cristy Fincher (SewMuchLikeMom) teaches “Pain-Free Foundation Piecing” on Craftsy, and chain glue-basting for regular piecing on her blog. The Craftsy course teaches how to foundation-piece without sewing through paper. FABULOUS! The glue chain basting technique gets flawless point-matching and rids the need for pins in piecing. Sharon Schamber uses glue-basting to get perfectly square and straight bindings in her YouTube Video. Super-useful for entering quilt shows. After learning from these masters, I now view glue as my partner in getting out of sticky situations. Together, we made my round-robin improv quilt become a compliant, flat, smooth, quiltable top. I unpicked the sections that were bunching, applied glue to the seam allowance and heat-set, and re-seamed! Presto! No more lumps! 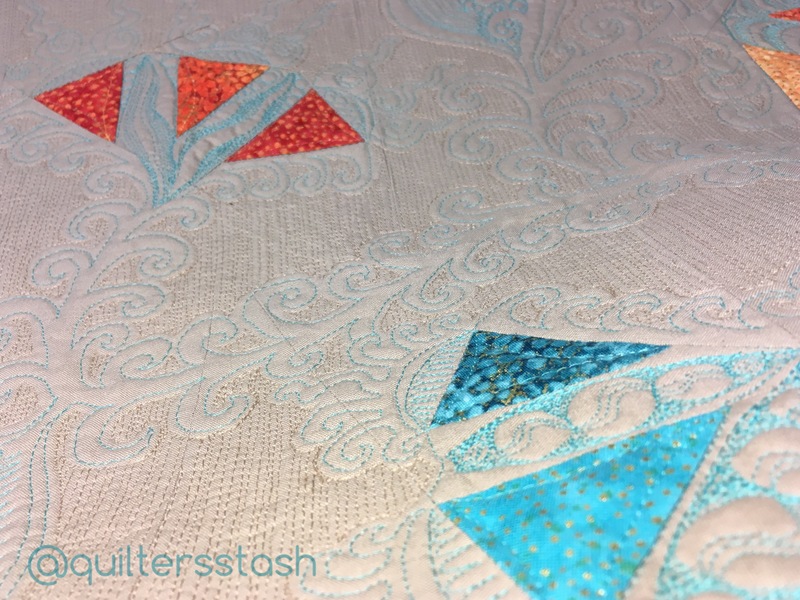 And in this picture, I am glue-basting a very pointy triangle onto a pieced background to save the headache of pre-planning angles and seam-allowances during improv quilting. I just glue-basted, cut out the background excess and sewed. Glue- basting is definitely a game-changer for me! 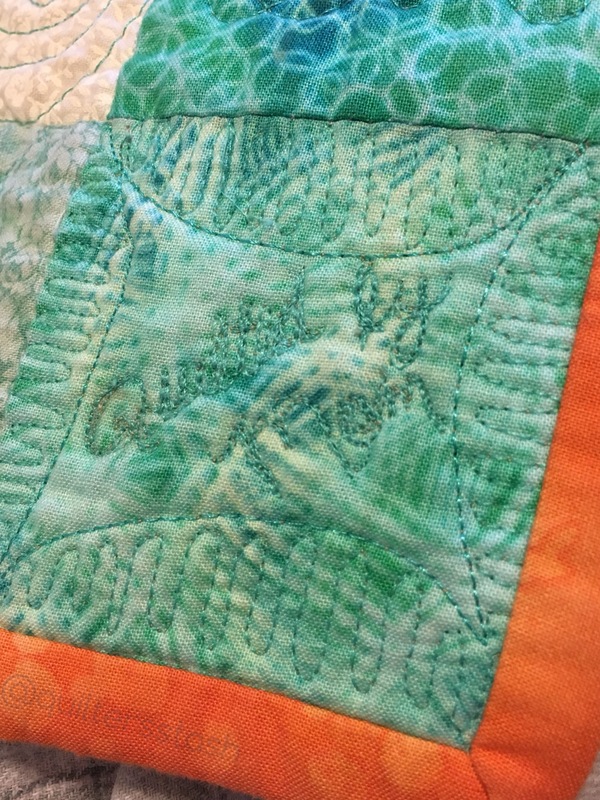 Thanks for hopping over to my blog during the New Quilt Bloggers Blog Hop 2017! I love comments, so shoot me a line below! 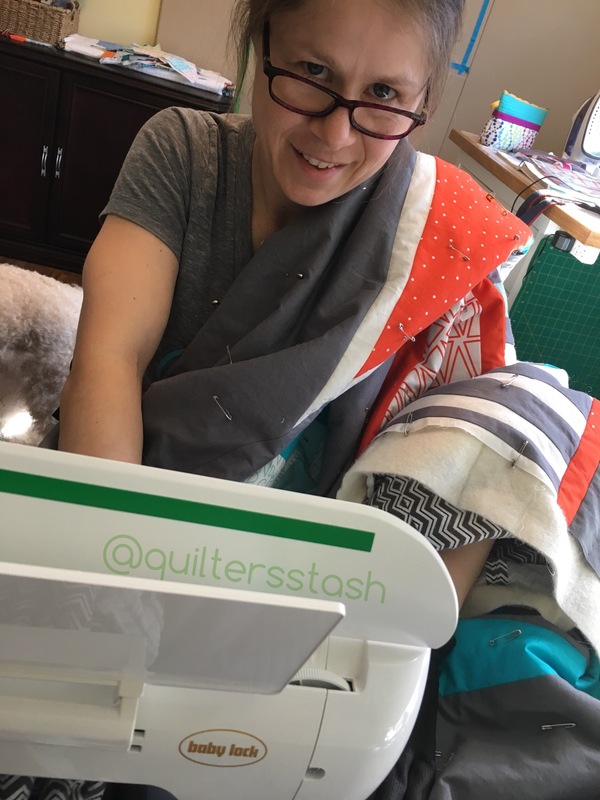 Also, be sure to check out the other bloggers from Better Blogger’s Hive, featured this week and head over to see our Queen Bee, Beth from “Cooking up Quilts” for a chance to enter the awesome draws by our sponsors! 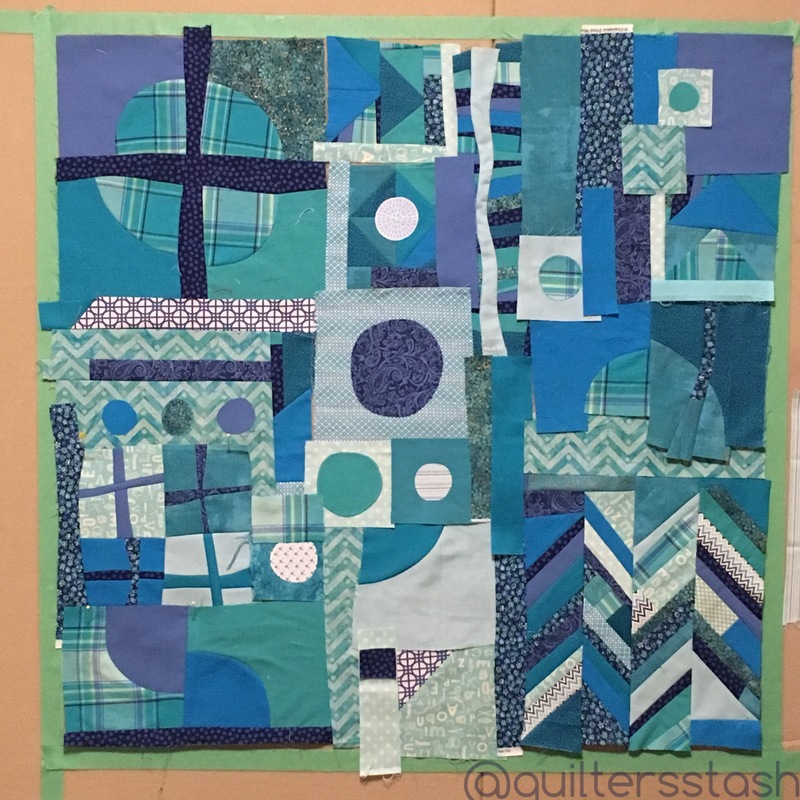 Previous Post New Quilt Bloggers Blog Hop Starts This Week! Tara, what a gret post! Great work! I enjoyed it all! So clever making the improv quilt from the cut off jammies! And you MQG challenge is so clever. I have a similar idea drawn out, but didn’t get to it yet! Hi, Paige! So glad you took a peek at my post! Even happier that you found some things you like there! 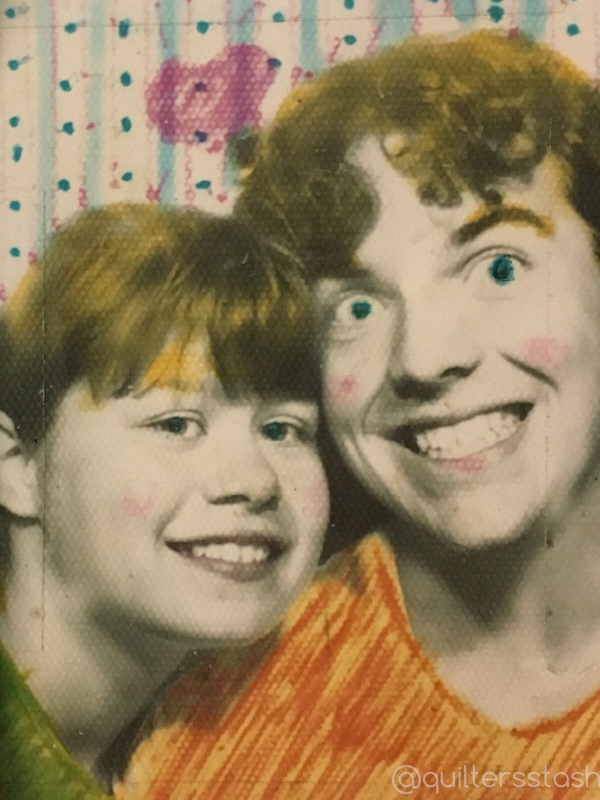 Great to meet you, Tara, in this entertaining post! 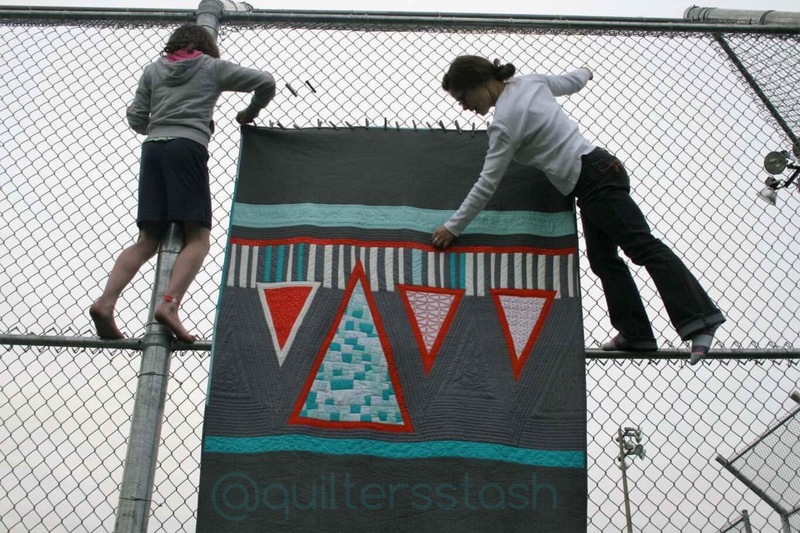 I love your improv ‘Auntie’s Housepants’ quilt, it’s so lively and fun! Auntie’s housepants was so fun to make! Thanks for stopping by and especially for your great comment!! You are related to an NB Quilter!!! That is awesome! Nice to hear from you, Scout! Hoping that gorgeous little boy is keeping out of trouble these days! Thanks for taking the time to read and comment! Yes both my grandmothers were big quilters (Carlton County and Gagetown), my Grammie Sullivan took over their garage and permanently had a quilt set up there and would have women over to quilt around it/hanging out in the garage – great memories! Cool! I lived in Fredericton, really close to Gagetown! Small quilting world! Wow, that is quite a post, lovely quilts! Whew I am inspired to quilt right now. Gotta get to my sewing machine and gotta get some glue to get me out of a sticky situation, too! Debbie E.
Have to have fun this week! See you Thursday, glue in hand! I love my glue sticks! They come in so handy. Fun post to read, and a great way to get to know you! This is such a wonderful post and I really love getting to know everyone better through the blog hop! You sure did marry a wonderful man, and I hope your new sewing space is sacreder! 🙂 Thank you so much for joining and participating in the blog hop. Yvonne, I learned so much from our team of kindred nuts! The New Quilt Bloggers Was such a help for me to up my game! Thanks so much for hosting! What a fun post Tara! It was great reading about your quilting beginnings, your family and seeing your quilts. I am very impressed with your machine quilting which I something I need to improve. 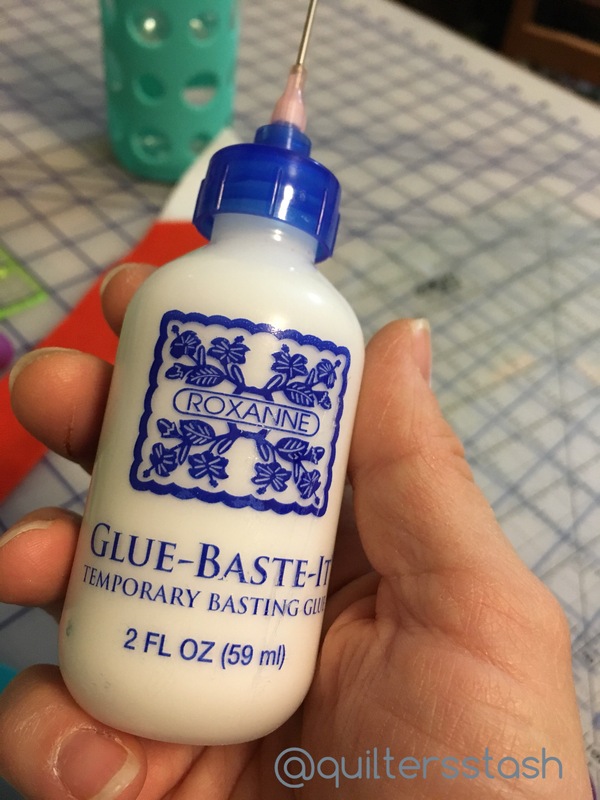 I definitely will try glue basting, after all I have a gallon jug of Elmers Glue which has been sitting on my shelf for ages after reading about using in another blogger’s post but she used it to baste her quilt. I can see using it for binding and appliqué. Thanks for the tips and I can’t wait to see your finished sacrader sewing spacing. Thanks, Rose! I look forward to reading about all your glue adventures soon! I love you Aunt’s Housepants quilt. I have seen them from men’s shirts, but never PJ bottoms. I would love to know how here sister felt receiving that quilt. I will be following along with you to watch your glue stories. Gluing is new to me, may need to give it a try. Hi Jan! I have to say, Auntie Marlene, who is also an avid sewist was quite appreciative and emotional when she was surprised with the quilt. It was a really beautiful moment! Get your Elmer’s out! It’s never to late to get “tacky”! My first FMQ was an outright disaster. I kept the piece so I can look back at its awfulness. But look how you have progressed – amazing work! I too have watched Leah Day’s online tutorials. First, I tried gardening gloves rather than the machinger’s gloves – what a joke! I broke down and bought the machinger’s. My next purchase is a supreme slider. I was actually a painter before I made the switch to quilting. Fabric is so much more fun to work with! Popped by from the hop, stop by for a visit some time. Thanks for chiming in with your frustrating experience! Having the wrong equipment really does have a huge impact. I have a supreme slider too, and I like it, but an excellent quilter I know uses a teflon non-stick oven liner which cost under $5.00 to get the same result! You might want to try the cheap version first to save a few bucks!! I use a kind of black, grippy glove my husband found at the hardware store and they work great! I have never tried machingers but I find they look baggy! Are they fairly snug? Thanks for popping by! Karen, thanks for reading! You are very welcome to peek at it when it is all finished! I am getting so excited about it!!! Breaking ground soon! You’re hilarious. Thanks for putting yourself out there. Wow, what a journey! I so enjoyed reading this. You’re hilarious, and I’m amazed how supportive your husband is of your hobby! (How cute that you guys met so young!) I must say, your Auntie’s Housepants improv quilt is STUNNING. I love it! I’ve been so afraid to try improv, but after seeing all the amazing results, I’m just a little more … tempted. Wow! Hi Tara! What a wonderful journey you have had, including the part about being a Riverboat singer (you don’t hear that everyday!) It is so neat you are passing on the love of quilting to Kiwi and also getting an expanded sacred space, my compliments to Kircules. Your quilts and quilting are beautiful, I hope to achieve your level of FMQ one day. Glad you decided to keep on going with your quilting. 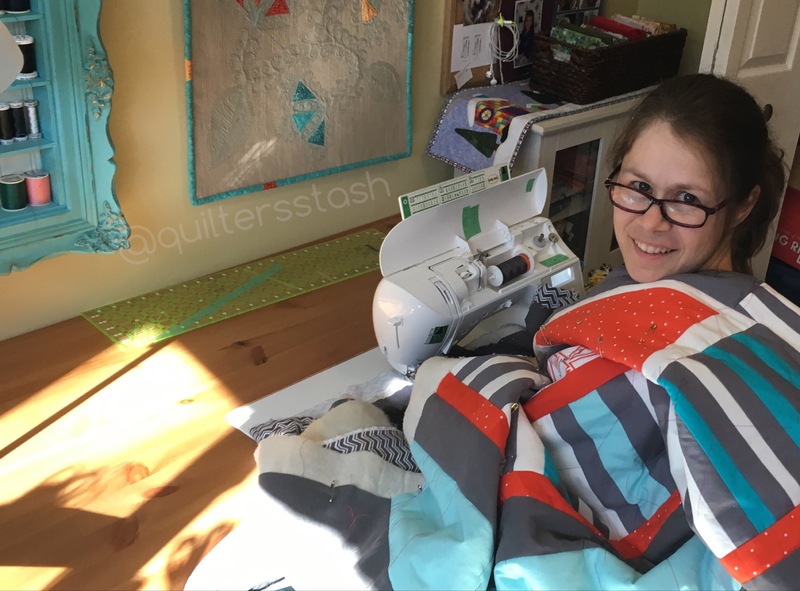 I had a similar kind of circumstance – I did not know how to actually “quilt” the quilt top, batting and backing together. I read and practiced and now I can complete a quilt. It is not as easy to figure out as it looks! You should see the crappy binding on the wrong side of my Baby buggy quilt! It’s all a progression! We learn bit by bit! And the learning never stops! Hi Tara! Love that you sang for your first sewing machine. Thanks for sharing your quilt story. I’ll have to get that glue out and remember it use it more often. 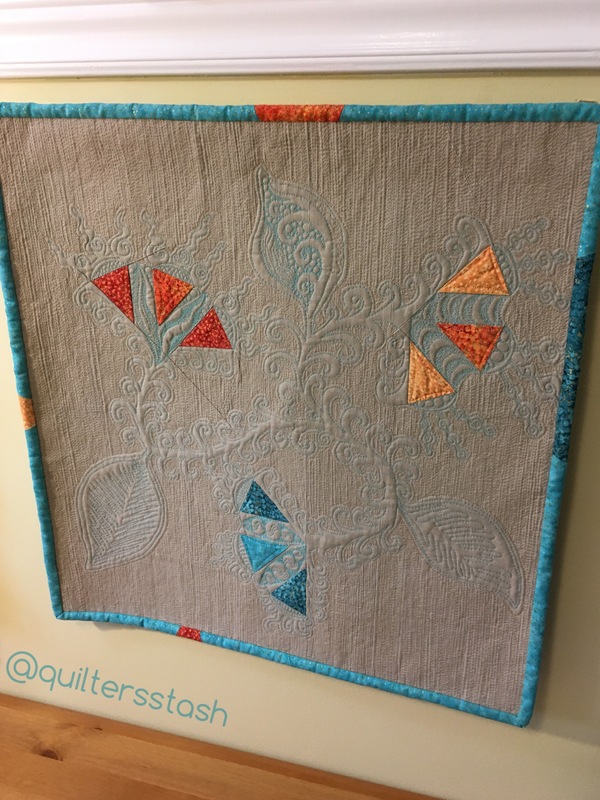 Your quilting on the EZ Triangle is amazing! Nancy, wouldn’t it have been funny if I bought the more expensive “Singer” I was eyeballing!!😂😂😂. 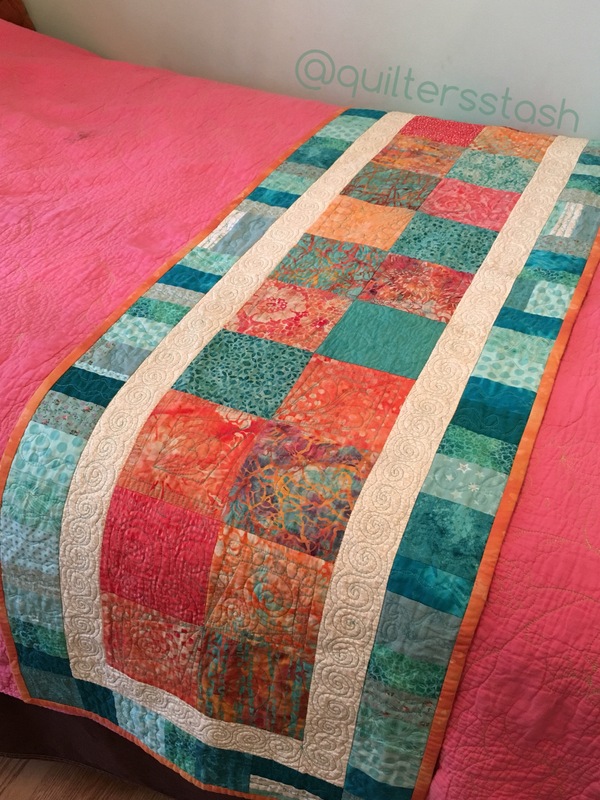 Thanks for your sweet comments about the quilting! Hope to see you again around here!! Aww thanks, Sherri! 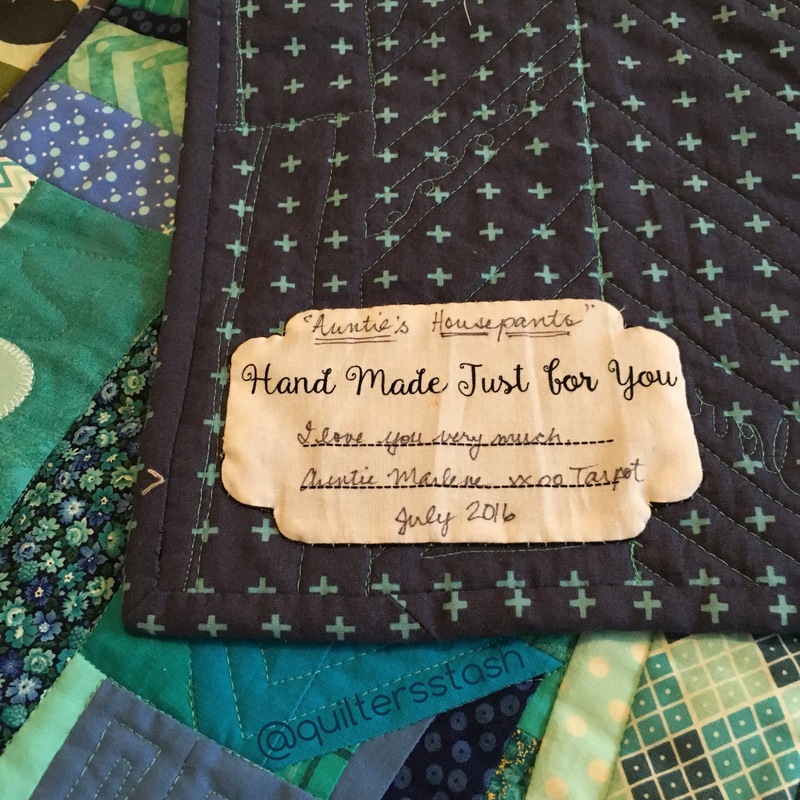 I think you are the first to specifically mention my quilting on that project! Most people are distracted by the crazy colour scheme to notice it! That was before I learned the power of neutrals! Your MQG challenge mini was so funky! Did they announce a winner yet? Dig out your glue sticks and try them out! It is so helpful! Going to share some ideas at guild this week! Thanks for reading! Great post! I really enjoyed reading about your quilting journey. Thanks, Sarah! Glad to hear! Pop in again when you get a chance! I’m just going to go out on a limb here and guess that you’re favorite color is teal? Maybe it’s just because aqua is my favorite color so I picked up on it, but I think I saw aqua/teal in every photo! Ha! I haven’t tried glue basting yet, but I’m intrigued by your use of it for that triangle! Thanks for sharing your story! 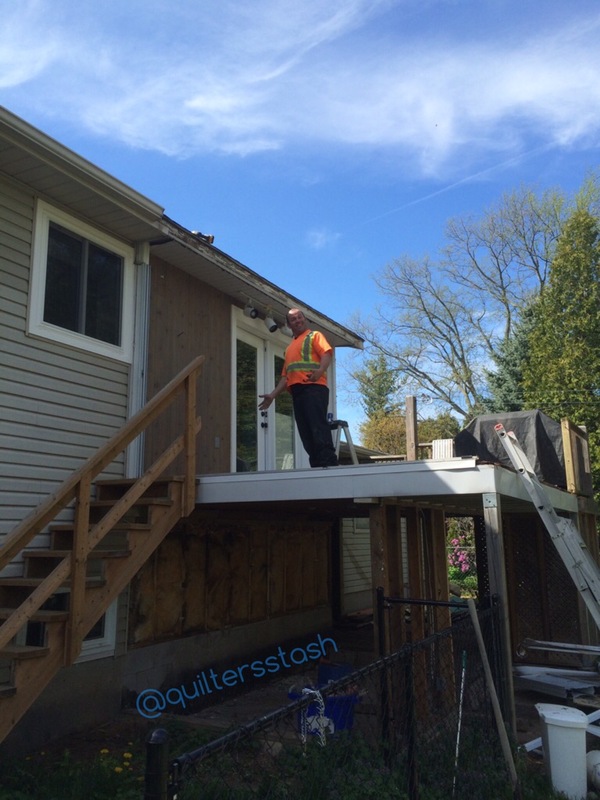 You definitely will find glue to make certain jobs much easier! Try it out! Thanks for popping by! Wow, thanks! It is so nice of you to leave a note! Isn’t it the handiest book and so brilliantly written! I learned so much from Sherri-LynnWood! Thanks for pipping in! What a great post, had me hooked from beginning to end.. I especially loved your Aunties Housepants bitter sweet and a lovely tribute, so fitting that you won the competition! I have never used glue on my quilts but with all the recommendations you have provided who am I to argue. Lovely to meet you.